At a meeting this lunchtime at the Scottish TUC in Dundee RMT General Secretary Mick Cash will warn in stark terms of national, coordinated industrial action if there is any threat to staff pensions as a result of the collapse of the rail franchising system ‎and will demand that the Scottish Government move to head off the issue by bringing Scotrail into public ownership. "The fiasco over Stagecoach and Virgin being banned from the franchise lottery because they refuse to underpin ‎their pension obligations has laid bare the chaos of privatisation and has left RMT members, including many in Scotland, facing a period of deep uncertainty. That scandalous situation has to be brought to an end as a matter of urgency. 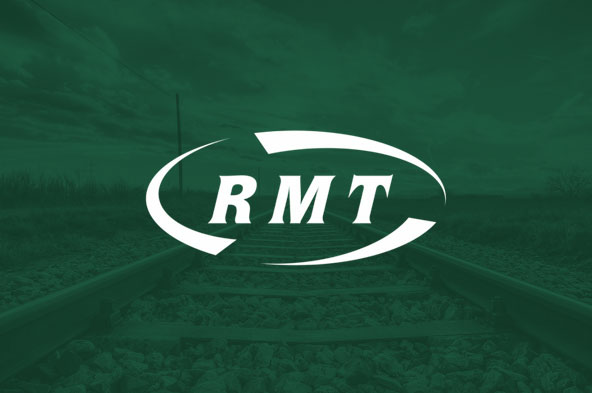 "RMT has made it clear that any threat to our members pensions, jobs or working conditions as a result of a politically-driven, privatisation crisis they are not responsible for will be met with co-ordinated and robust action. "In Scotland there is no excuse for allowing the privatisation racket to continue any longer. Scotrail should be taken into public ownership and run as a public service in the interests of safe, secure and reliable services for all. The Scottish political establishment need to face up to both that reality and their own obligations and take the decisive action required."